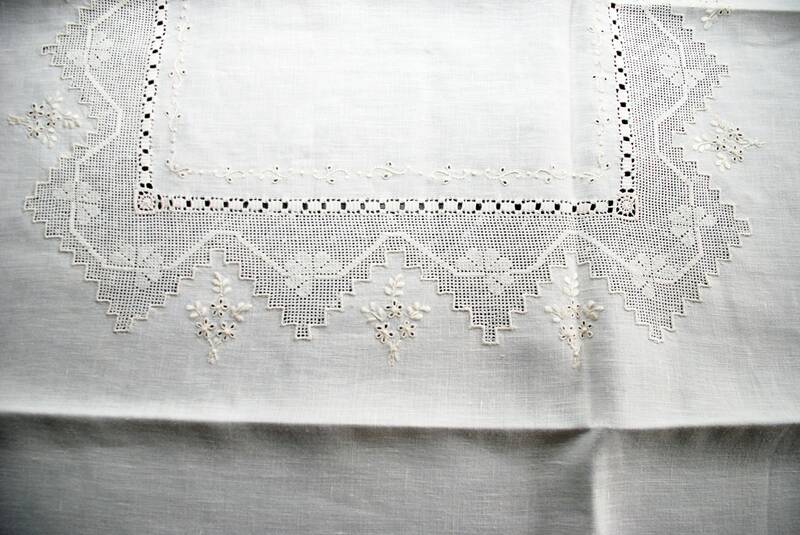 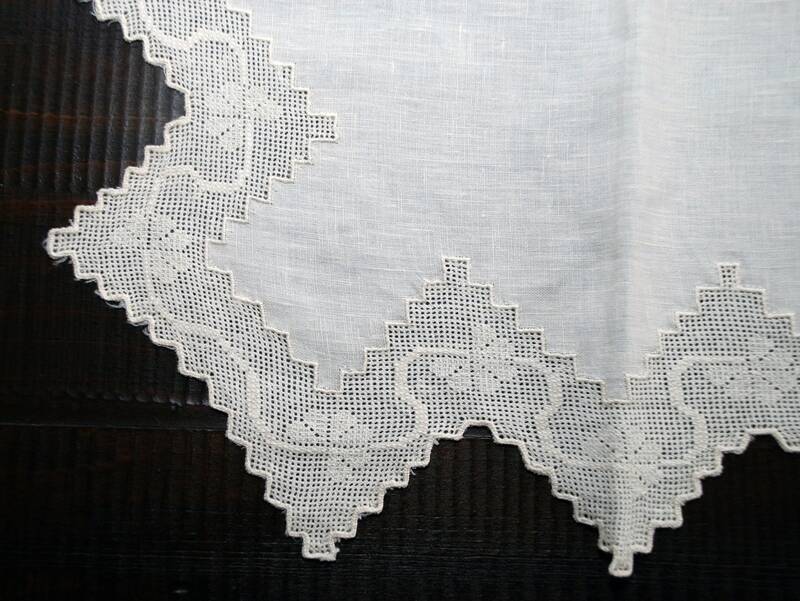 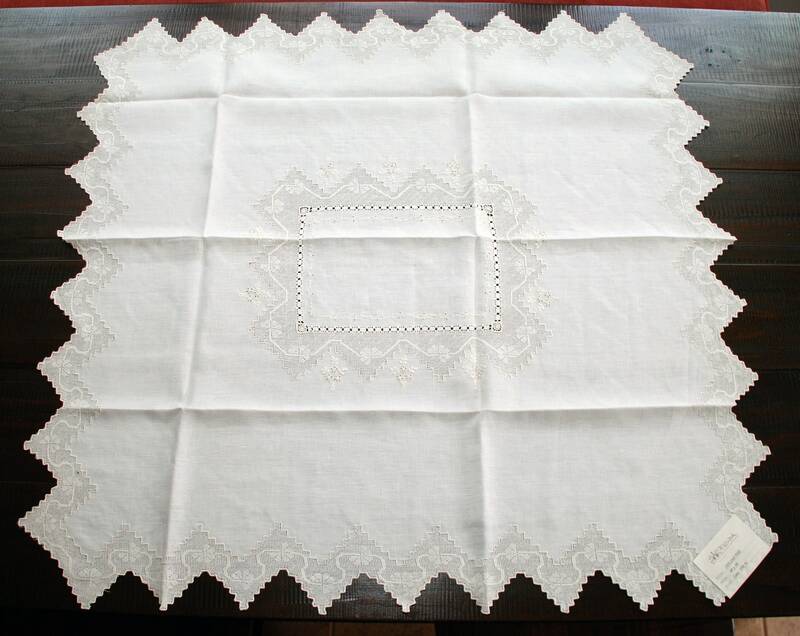 Sicilian Linen Tea Tablecloth Set "Dinami"
It is a typical wedding gift and is 100% handmade using a mix of crochet, embroidery and traforato techniques. 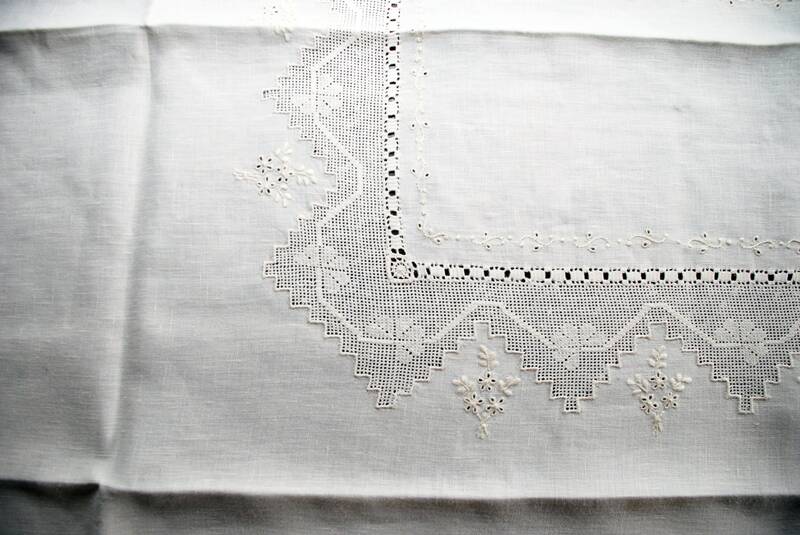 Traditional handmade product of rural areas of the est coast of Sicily. 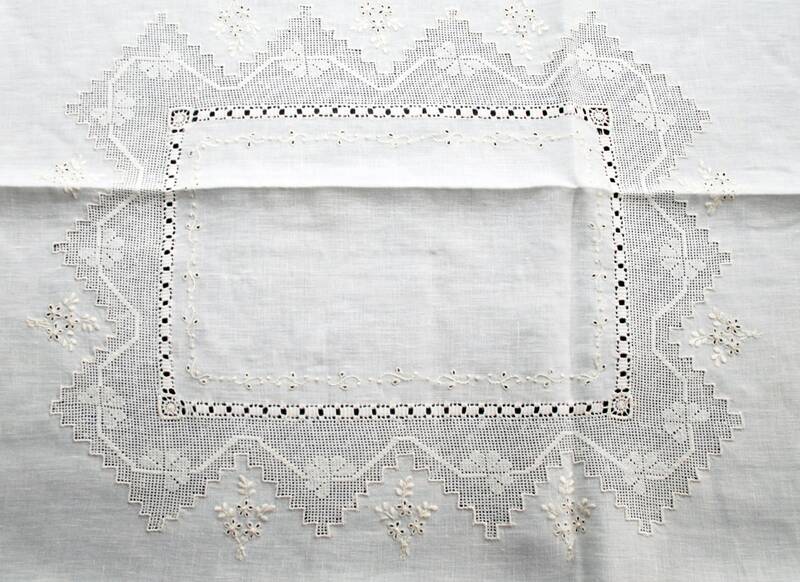 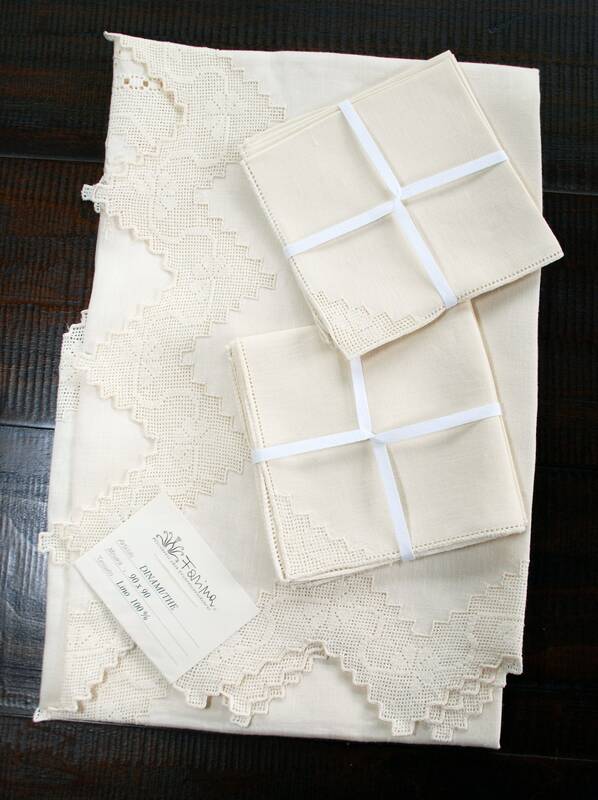 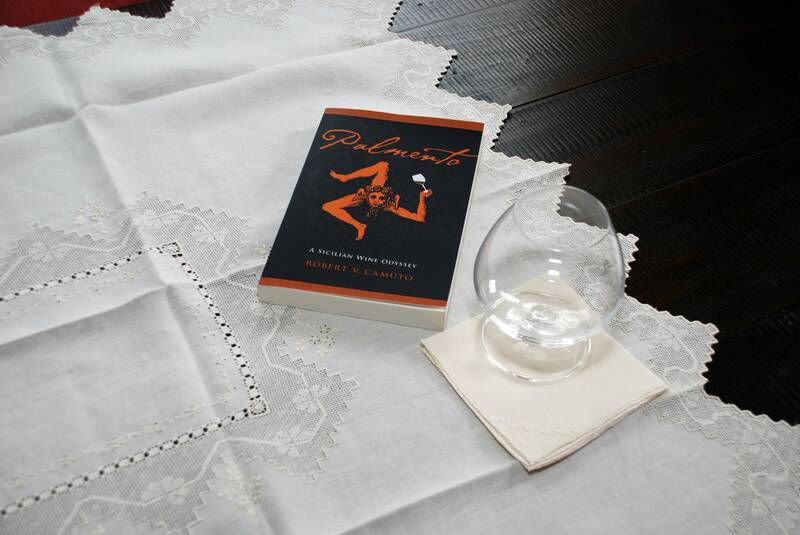 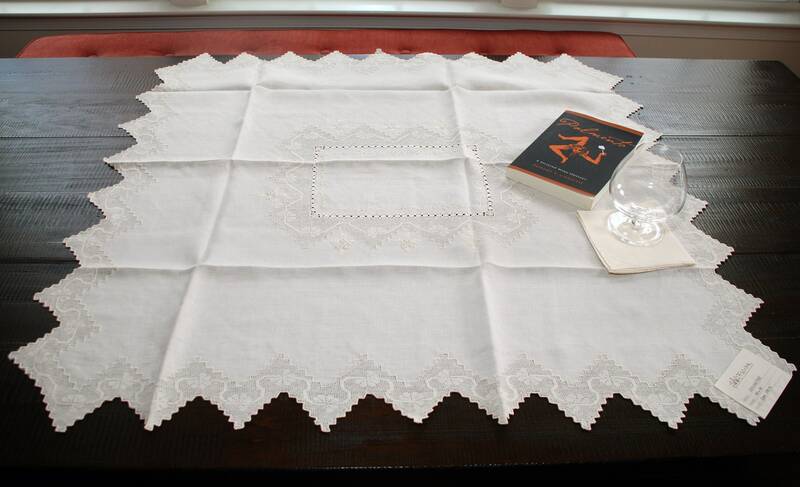 The set encompasses seven pieces, the tablecloth, approx dimension: 36.5 x 34.5 in. 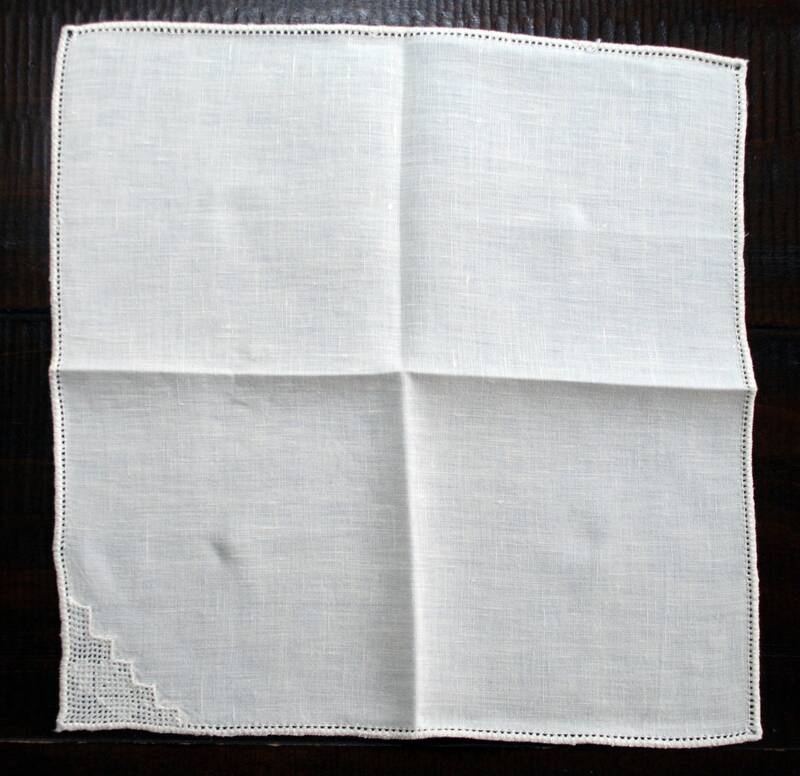 and six tea napkins, approx dimension: 10 x 10 in. 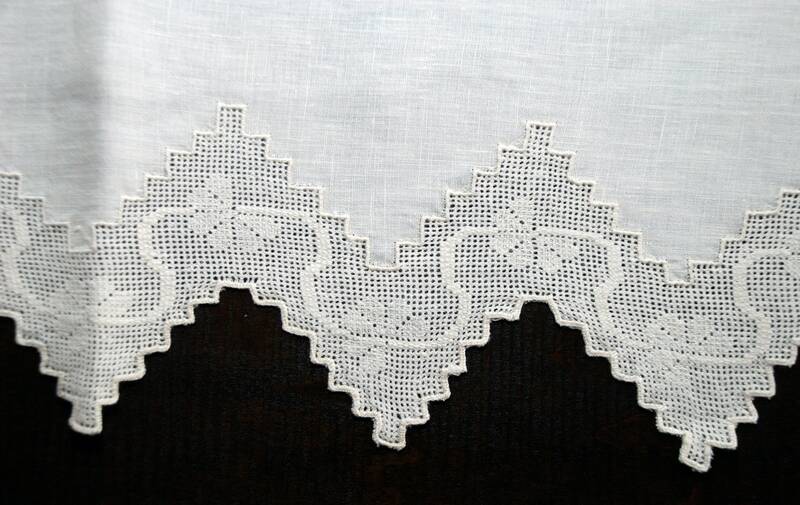 Total set net weight 9 oz.